also hosted by Grand Strand Indivisible and more. 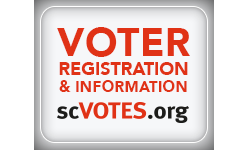 How do we achieve free and fair elections in South Carolina? Pending redistricting legislation and current initiatives will be explained. All voters, elected officials and candidates are welcome.